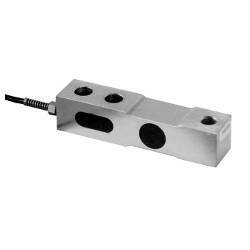 Cardinal TB Specialty Shear Beam Load Cell for Medium to Heavy Weighing. 1000 to 4000 lb capacities available. Waterproof. Stainless steel construction. IP67. NTEP and OIML approvals. Cardinal�s TB series, medium capacity beam load cells, are manufactured for medium to heavy weighing operations such as bench or floor scales. Stainless steel construction offers strength, and the ultimate in protection when caustic or corrosive environments are encountered. Heavy capacity single point cells are available in 450 kg to 1800 kg capacities. 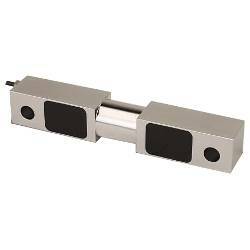 The unique design of these beam load cells offers cost-saving advantages for many weighing applications. These cells are potted with a proprietary sealant that offers superior waterproofing, while remaining flexible over the life of the load cell. 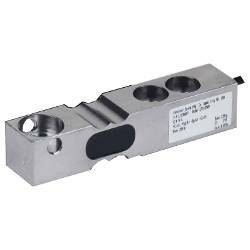 This special compound protects the load cell strain gages, and over a broad temperature range has no effect on load cell precision accuracy. All load cells have threaded mounting holes, and a 3 m integral multiconductor cable secured by a strain relief seal. > LOAD CELLS > SHEAR BEAM : 5 Items found. Cardinal LFB Shear Beam Light to Medium Load Cell. 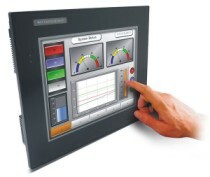 250 to 2750 lb capacities available. Low profile design. Stainless steel construction. VCAP Certified. OIML approval. Cardinal SB Shear Beam Medium to Heavy Load Cell. 2500 to 20000 lb capacities available. Environmentally-sealed. Stainless steel construction. IP68. VCAP Certified. NTEP and OIML approvals. 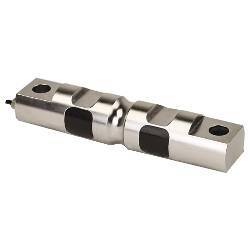 Cardinal CenterPoint Double Ended Shear Beam Load Cell with Square shape. 2500 to 5000 lb capacities available. Environmentally-Sealed. Stainless Steel construction. IP68. 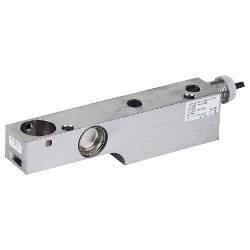 Cardinal CenterPoint Double Ended Shear Beam Load Cell with Rounded shape. 5000 to 50000 lb capacities available. Environmentally-Sealed. Stainless Steel construction. IP68. 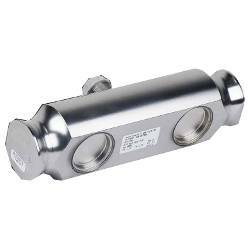 Cardinal DB Double-ended Shear Beam High-Capacity Load Cell. 50000 to 75000 lb capacities available. Environmentally-sealed. Stainless steel construction. IP68. VCAP Certified. NTEP and OIML approvals.